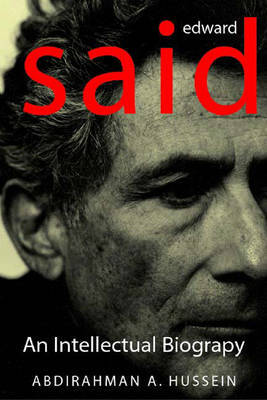 This full-length, intellectual biography of Edward Said, the author of "Orientalism", argues that underneath Said's carefully constructed eclecticism there is a global method in his work. His key text, Hussein suggests, is not "Orientalism", but "Beginnings", and the Palestine experience informs all his texts, not simply those which deal explicitly with the catastrophe of 1948. Palestine life has been scattered, discontinuous and affected by what he calls the "synchronized rhythms of disturbed time". Edward Said's oeuvre mirrors this state, but simultaneously transcends it in a permanent search for a new synthesis. Hussein argues that this informs Said's approach not only to Conrad, Swift and Eliot, but also to Lukacs, Williams, Gramsci and Adorno.